Pocket: Developing for Android is "Not Really Terrifying"
By embracing Android far before of its competitors, Pocket, previously named Read It Later, has had a chance to really make something out Android’s massive, yet often un-monetizable user base. Since then, Pocket’s app has dominated the Android platform and continues to do so as Instapaper held off following its move to Android (until yesterday). Now, unlike other developers who have publicly criticized Android’s widespread hardware inconsistencies and outdated OS releases — in comparison to iOS — Pocket’s lead developer for Android, Max Weiner, is coming out about Android’s accessible, and potentially fruitful nature, and is encouraging developers to give it a try. Android fragmentation is a huge problem. The fact that there are hundreds of different hardware devices running over half a dozen different versions of Google’s OS makes it annoying for users, but makes it an especially devastating issue for developers trying to make a business out of the Android ecosystem. This successful launch, of course, was before any Android tablets were released (which undoubtably causes more confusion for developers now), but still…seeing such a big name champion Android isn’t very common and definitely is what that community needs to stay healthy and grow. Now my question is: was Pocket’s app particularly easy to translate between various devices, in comparison to other apps such as Temple Run, which had countless compatibility problems across devices? Or, did the team simply find a sweet spot and run with it? 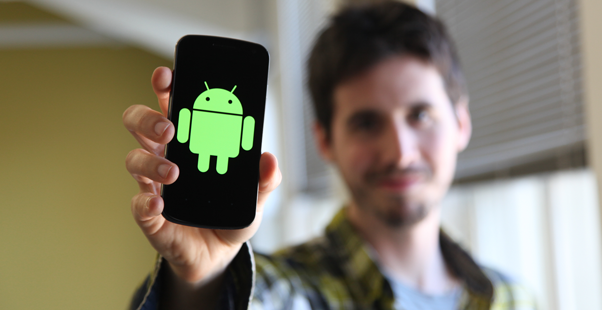 No matter what, there’s no doubting that somedevelopers have hit major roadblocks building for Android, but if you’re interested in following Read It Later’s Pocket’s lead, check out Weiner’s full piece below on developing for Android to gain some useful tips on embracing the platform.